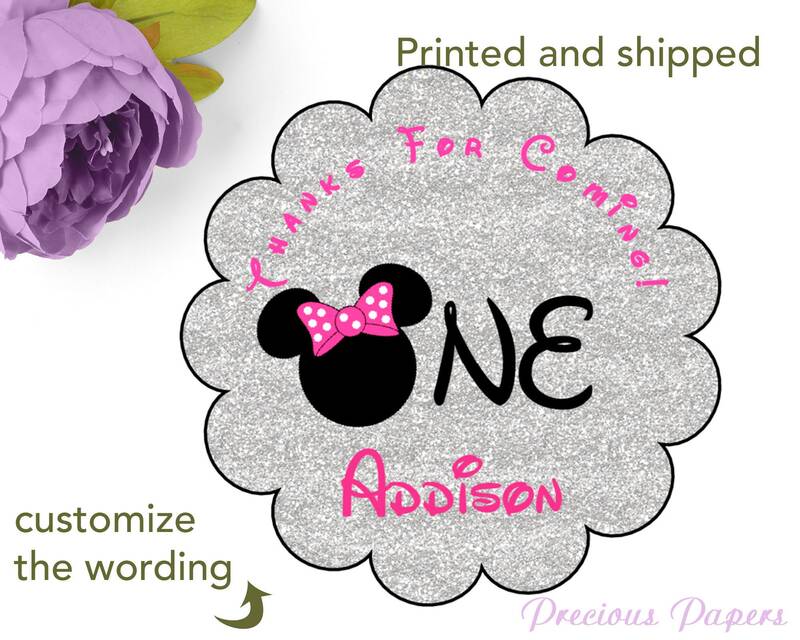 Minnie Mouse scalloped shaped stickers be used for favor stickers or return address labels. Font color and style CAN be changed. Receive your proof by email within 24 hours! Upon approval we can print the stickers and ship immediately. There is no actual "glitter" on the stickers. *Be sure to check your convo's for your proof. We won't print and ship without prior approval. COLORS - Please be advised: Every computer monitor can vary in terms of brightness, contrast and even colors. This is why it is impossible that your item will match exactly what you see on screen. In general reds tend to be less bright/vivid than what you see on your screen.